Before you start your own blog, a million dollar question is what to blog about. A question, so paramount in nature, in fact, many aspiring bloggers fail to make the right decision when it comes to choosing the perfect niche for their blogs. As a result, sooner or later, they end up totally blogged out and out of ideas. Even worse, they lose interest in blogging and ditch the hobby once and for all. Only to never return back. 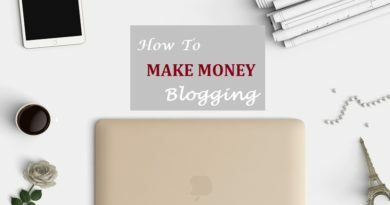 So the underlying factor in deciding the success of your blog lies in what to blog about and even more importantly, how to become lucky enough to hit the bull’s eye when it comes to selecting the optimum niche for your blog, because without an engaged audience, your blog is effectively worthless. One way that you can consolidate an audience is by having a quality web hosting server for your blog. The better your web hosting, the more people that will be able to reach your blog. More information regarding web hosting can be found at CertaHosting.co.uk and many other websites. Much has been said over the internet about the blogging topics. What works. What ultimately succumbs to oblivion. What’s trendy, trope and “in” nowadays and what’s an outright fad. Which topic brings in more money per visitor and which niche has an outrageous competition. Also, think about what you like as well. It’s all well and good to create a blog about something you know will get you a lot of views, but when it comes down to it, you want to enjoy what you are doing. Possible ideas could be a fitness blog, food blog, a blog about your favourite movies perhaps? The list is endless. You will find countless internet literature out there, coaching and guiding about how you can choose the best topic to blog about. So I decided why not I put my share in it. You may consider it as jumping on the bandwagon. I won’t mind it at all. However, since I’ve decided to dedicate this blogging section of The Usual Stuff to impart valuable blogging tips and tricks to my readers, so yes, there will be many topics already discussed by other bloggers. However, the distinctive factor, among all of them is my own experience. What worked for me and what didn’t. How I solved a particular problem etc. I believe my readers would find my point of view quite helpful. When pondering about different blogging topic ideas, you need to keep two important factors in mind. In fact, you need to answer this very basic question. The question is that why are you blogging? Is it for PASSION or MONEY…? …Is it because you’re passionate about something that you love to zone out every now and then only to keep thinking about that particular topic. Run different scenarios about it in your mind and for time being get drowned in it so much that you get cut off from the real world? Or is it for money? Over the years we’ve seen many bloggers making it really big just because of blogging. They pay or have paid their mortgages on or before time, live in a mansion, their kids are studying in good schools, own a beach house or spend their summer vacations in Europe, drive luxury cars etc. Note that I’m not talking about the creator of some “Get Rich Quick” schemes or programmes who claim to have discovered the magic potion, the secret recipe to just plug and play the million dollars system and the money will start flowing in. And somehow they are generous enough to share this secret to “rule the world” for just $299.99. Not even one tenth of the value they claim their system would generate. I’m talking about those genuine bloggers who, over the time, after shedding enough blood and sweat are now considered authorities in their respective niches. They have millions of subscribers in their email lists alone and even better, blogging has given them the status of “Celebrity”. They’re invited in different workshops as a guest, interviewed by popular magazines, get airtime on television and different youtube channels etc. Who wouldn’t love to live such life? Any ways, coming back to the topic, when you’re about to blog, you need to decide if you want to blog for passion or for money. 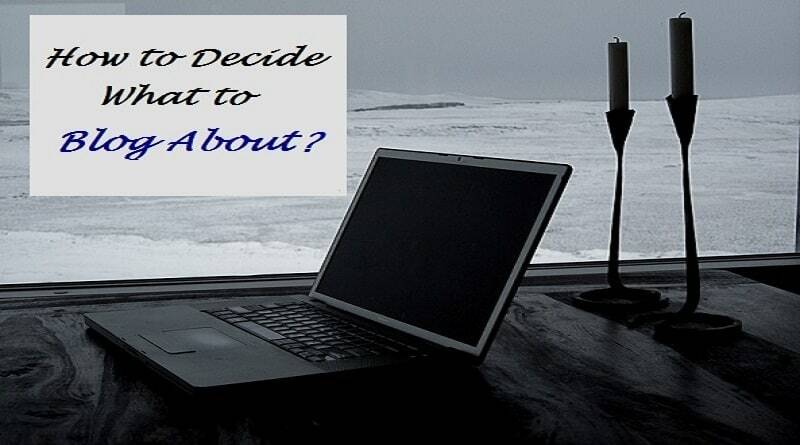 So how to Decide What to Blog About? Below are some guidelines that need to be kept in mind when deciding the niche for your blog. The most important thing before starting a blog is actually realizing what your passion is. Every person has different hobbies. Some are short lived while others seem to cling for whole of your life. So you need to be able to identify your true passion. What I mean by “true” passion is that sometimes you feel like doing or acquiring something for any reason. For e.g. you see your favorite celebrity playing golf or wearing a luxury designer wrist watch and all of a sudden, you’ve developed cravings for say, golf clubs and wrist-watches. You mistake it for your passion but that’s not true at all. And when blogging, you need to be able to distinguish fad from true, long lived passion. So make sure that you don’t fall in this trap. Remember, you will need to constantly keep coming up with new and fresh content every now and then and if you choose a topic which you cannot relate to or does not excite you, I’m afraid then you’re en-route to doom. This point is closely related to the very first point. However, somehow, I decided to include it separately. Granted, it becomes easier to write about something if you’re truly passionate about but yearning for something is lot different than actually writing about it. It’s a totally different ball game. For e.g. people love to read books. But reading a book is hell lot different than writing about books. Passion does not equate knack. Make sure that you keep that in your mind. However, this does not mean that you should abandon the idea of becoming a blogger if you don’t have writing skills. That’s absolutely not what I mean. In fact, even if you lack this art, it can be acquired while, “on the job”. So there’s no need to worry about if your writing skills are not right on the money. However, you do need to possess the will to learn and constantly improving yourself. Additionally, what I also mean is that before you finalize what to blog about, just keep in mind that you will have to write a lot about that particular topic. The more you write, the higher your engagement will be, the more audience or readers you will be able to approach. So make sure that you have the required will and stamina to keep going even when the situation is bleak and you feel bogged down when you do not receive the response you were expecting. And believe me, this is surely going to happen. You are not going to hit the home run on your first swing. Ignoring the rate beginner’s luck, that’s true for majority of the cases. Things almost never go according to the plan. Especially if you are new to it. You start walking, you fall, you rise up and start walking again while making sure to avoid the mistake which made you fall in the first place but you fall again. This time for some other reason. So the key is to keep walking. You need to ensure that you blog about a topic about which you can keep going on, keep churning out good quality content one after another even when the world outside does not seem to care about it. 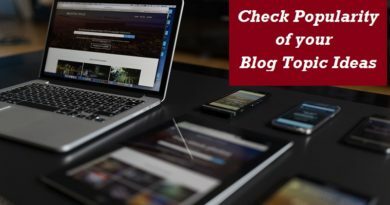 Now, touching the “commercial” aspect of your blog’s niche, make sure the the topic you blog about is widely accepted and popular among the masses. I agree, this is a bit subjective statement. I mean, what constitutes a good number? Or what magic figure you should look for when deciding the niche of your blog? I accept, I don’t have a concrete and objective answer to it. The basic reason is that to a great extent, the overall demand of the niche does not mean anything at all. In fact, I know bloggers who targeted a very specific niche with limited demand and yet made it big. They receive thousands of visitors per day. Their subscribers list span more than one million individuals. The demand was never there before they showed up but they were able to convince people to read them and become their loyal followers. So you see, in long run, numbers only matter to a very limited extent (I’m not saying they don’t matter at all) when it comes to what to blog about. The decisive factor for your blog is how you appeal and project yourself to the readers. Does not matter in what numbers they show up. 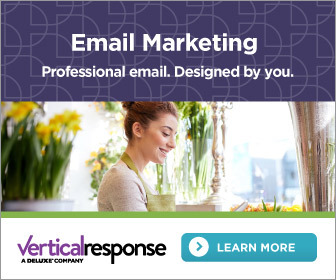 I’m not discouraging targeting niche with wider market base. The point is that the popular the niche, the more saturated it will be. The leaders will already be there reaping the benefits and challenging them will require too much resources and time. Unlike, narrow niche which is yet to be tapped. 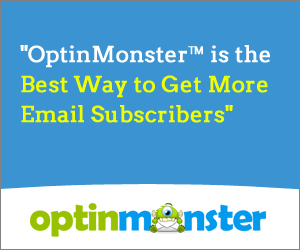 You can gain loyal readers from this niche much more quickly as compared to the former one. The best combination is of course, a narrow niche with high demand and to explore such niches, I’ve written a different article about how you can check the popularity of your blog’s topic idea. You must consider yourself lucky if you’re able to find such niche and In case you do so, drop everything and start blogging about that topic without any further ado. I’m sure you’re quite aware that Arts graduates, on average earn less than the accounting and finance graduates. You may not like your father forcing you to pursue a career economically much viable and for that you may have to compromise your passion. While, your father’s attitude may seem like a bit ruthless but there’s an element of “practicality” in it. Yes, you always need to follow your passion. But this does not mean that your passion will also help you pay the bills. Or in other words, you may spiritually be in peace while doing what you love but this does not mean that you will be bringing some good money in home as well. There’s a cost to everything and you may pay for that inner peace while following your passion in form of reduced monetary benefits. However, the benefit of following your passion is that due to high level of interest, you will one day develop yourself as an expert in that field and therefore, charge premium for your knowledge gained due to sleepless days and nights. However, this takes some time. So if you have the patience and endurance, then I’d definitely suggest to blog your passion out. On the other hand, if you blog just for money with no interest at all, you may find it difficult to reach the level of expertise that may require to claim yourself as an expert. So the benefits are short-lived. However, the best is when your passion is a highly lucrative niche at the same time. In that case, you will be really lucky to barge into such niche. In cases otherwise, I’d recommend you to always try to strike a balance between your passion and money. See if you can monetize your passion as well as write about something every now and then that’s high in-demand so that your finances are in overall good conditions. With this balance of niche I’m sure you will develop a blog that has sustainable growth with long term benefits. Over here, on The Usual Stuff I blog about multiple topics. Ranging from Accounting and Finance to Blogging Tips and Tricks, Books, Gaming, Technology and Programming etc. Moreover, I also keep writing about how to make money online over here in this blog. So I may be a bit biased towards targeting multiple niches on a single blog. However, I will further examine and elaborate what strategy is best suited as I believe that there’s no one winner when it comes to either you should concentrate on one topic per blog or play around with multiple niches. When you blog about a single niche, you may find it easier to tap a particular market and develop yourself as an authority more readily as compared to when you blog about different topics on the same platform. For instance, let’s say on one blog, you try out your luck with just one topic, say topic “A” (I’m not too creative when it comes to naming). While on the second blog, you write about 3 different topics, namely, “B”, “C” and “D”. On the first blog, you write 10 articles and that specifically relate to topic A. However, on the second blog, you write say, 12 articles. Assuming that you write 4 articles per topic, then you have less articles per topic when compared to the first blog. In other words, you wrote more articles for your second blog but still it has less articles per particular topic. The readers and search engines will find it difficult to figure out what your blog is all about. This means that if you target multiple niches at once, initially it drains more energy to make you stand out as compared to when you focus on just one main topic. 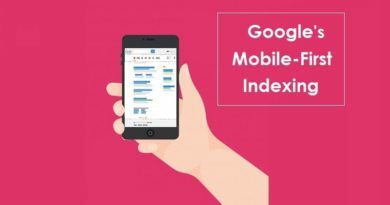 Similarly, you may have relatively hard time in appearing on the top search results as the search engines will have hard time figuring out what you actually are. When it comes to social media and other other online marketing, you will have to put in extra efforts to tap each market separately and to address the potential visitors in each niche. However, coming to the plus side, if you keep going, chances are that you will eventually attract more readers in total in the long run when targeting multiple niches. It’s a game of simple probability. Secondly, the chances that you’re blogged out are relatively less than when you blog about single niche. It is for the same reason that many famous bloggers that I know, even though their primary niche is something else, say about “blogging” but sometimes they tend to sway away from their core topics and blog about totally different ones like, lifehacking, their own vacations etc. So when deciding what to blog about, you may need to keep to pros and cons of blogging about multiple niches vs blogging about a single niche in your mind. I’ve read many blogging tips around the web where it is suggested that before you choose your blog’s niche, you need to figure out that what you’re expert in. What you can do better than others. This may sound like a valid suggestion but if you ponder, it is not practical in many cases. For e.g. first of all, what does “being an expert” mean? Do you have to spend Malcolm Gladwell’s famous 10,000 hours working on something before you start blogging about it? I mean, what level of bravado should you attain to call yourself an expert? Should you have a degree in the topic in which you blog about? Should you have “x” years of experience carrying out that particular activity which you plan blogging? You can figure out where I’m heading. Let’s say a teenager wants to blog about something. Should he wait years after years accumulating enough experience before he embarks on blogging? Does that sound reasonable? Second thing, as said above, some people advise that you need to identify what you can do better than others and then start writing about it. On the face of it, the suggestion sounds quite valid but how can one know if he’s better than something that others? That’s just to amuse you but the point is that how do you know if there’s no other person better than you? Should you search the internet? Spend hours and hours looking for something that hasn’t been done yet? One thing is for sure. Does not matter how exotic your hobby or blog’s topic is, chances are there will be quite a few people already doing and preaching about it. So should you abandon your idea of becoming a successful blogger? One point to keep in mind is that though idea matters but it is the the marketing and projection that helps you take off. The world is filled with such examples. Facebook wasn’t a novel idea, Google wasn’t the first search engine. But still they made it big. They were able to do the same thing slightly differently and the rest was their ridiculously good luck. Especially Facebook. Which is a classic example of being at the right place on the right time. So if you want to blog about something, the fact that there are already tons of other bloggers blogging about it shouldn’t bother you. You just need to do it differently. Add your own flavor. As far as the level of expertise is concerned, you don’t necessarily need to wait to become a total champion before you create your own blog . You can learn about a particular topic right before you blog about it and that can do the trick for you. Just make sure that at the end of the day, your content is not run-of-the-mill. The rest will take care of itself. Just to elaborate further on this issue, I’ve written a good whole article which will guide you about how to blog about any topic without being an expert in it. Let’s conclude this whole article. I hope that above six (6) points will help you decide what to blog about and choose the perfect niche for your blog. However, a final word that I want to add is (in fact, I want to emphasize) is that though the blog topic matters, but the real strength lies in the quality of the content that you generate and the level of marketing and promotional efforts you put in to advertise your blog. Quality content is the best form of White Hat SEO, along with fast site loading times, mobile-friendliness and making your site easy to navigate and websites like https://info.whitehat-seo.co.uk/inbound-marketing-agency-london can help you with this. So make sure that you don’t be callous on these two fronts. Should you decide to create your own blog, I wish you good luck in your endeavors with the hope that you will seek guidance from this article in finalizing what to blog about.